It’s that time of year again. Today, children from Year 6 helped to pack over 1 tonne of camping equipment into a van. On Monday, they will make their way to an enchanted woodland glade where they will begin a week-long adventure in the outdoors. They will be sleeping in tents, cooking on wood fires, and singing around campfires with Hanover staff and volunteers too. 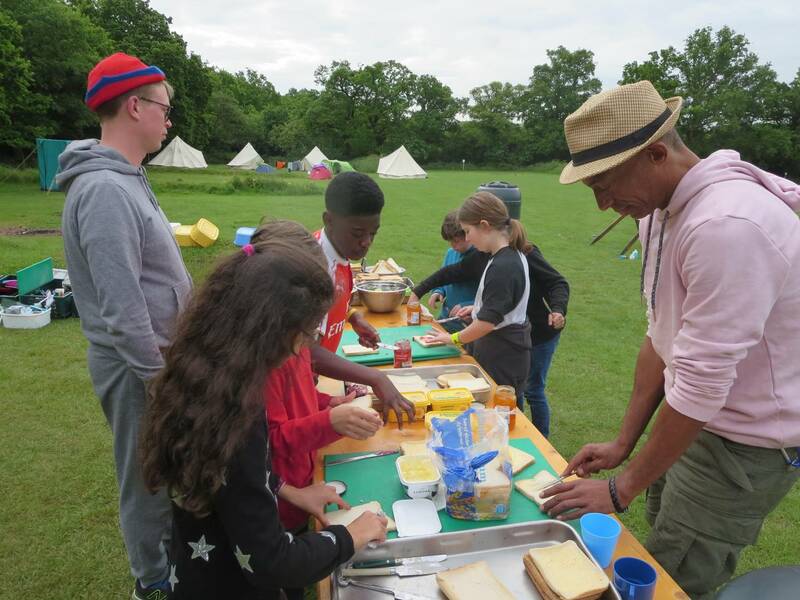 Practical skills – Many children have never chopped an onion, let alone a log before. They learn to light fires, to stay warm and dry, to look after their own belongings, to build dens and play new games. 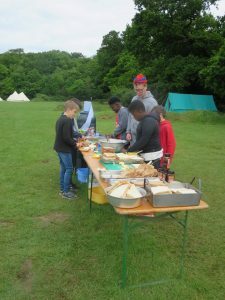 Cooperative skills – Children have to work together in order to get the most from their camping experience. They camp in small groups and look after one another. They build and cook together and strong friendships form as a result. Our camp is challenging so children rely on each other in new ways. They also work with adults in new ways, where there everyone has a part to play and the children are empowered to make lots of decisions. 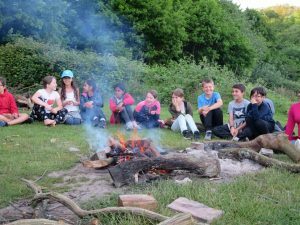 Nature skills – Most of our Year 6 children have never been camping before. Some of them are scared of spiders, will never have heard a tawny owl’s call, and few can name the different types of trees that surround them. Yet. If you would like to learn more about our camping experience, please watch this documentary film made about our project a few years ago. I would like to wish all our intrepid children, and especially the staff and volunteers going with them, a wonderful week.